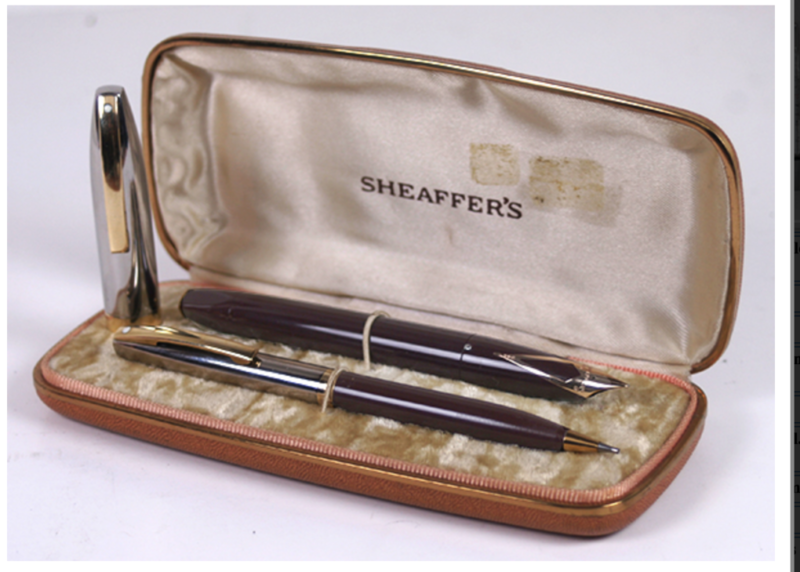 This is a 1959 Sheaffer PFM IV Snorkel/Touchdown-fill Set in Burgundy. Polished Chrome caps with GFT. 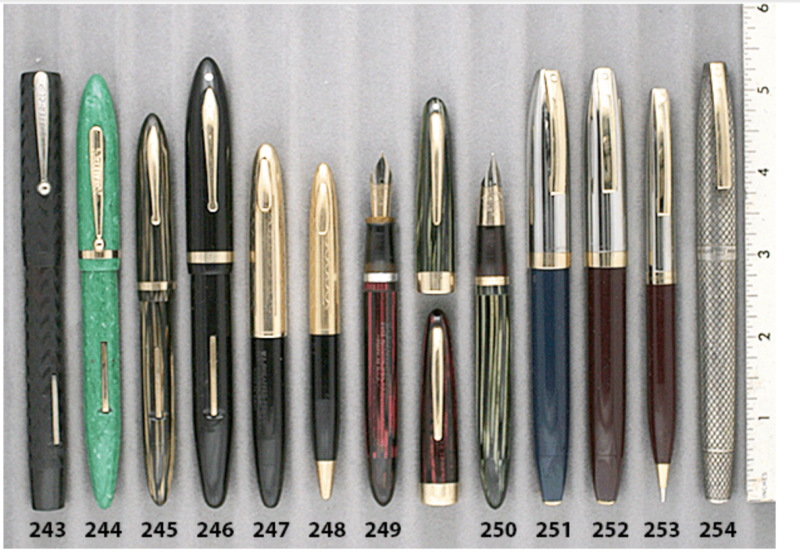 Fine nib. Near mint+ with no signs of ink or use. In Sheaffer box (a pre-PFM box made for a Balance set, but still a very nice box). Item #252 in Catalog #84.